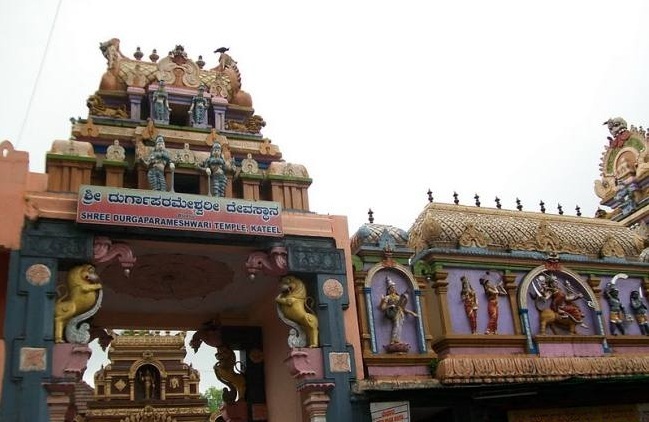 The Mangaladevi Temple is a Hindu temple at Bolara is just 3 km from Mangaluru city. The city Mangaluru was named after goddess Mangaladevi. The temple was built in memory of the princess of Malabar Mangale in the 10th century. The temple is situated just 3 km from heart of the Mangalore city (Hampankatta) and also from the Mangalore city railway station. This area is well connected to different parts of the city by city buses. The temple is easily accessible by city buses, auto rickshaws and taxis. 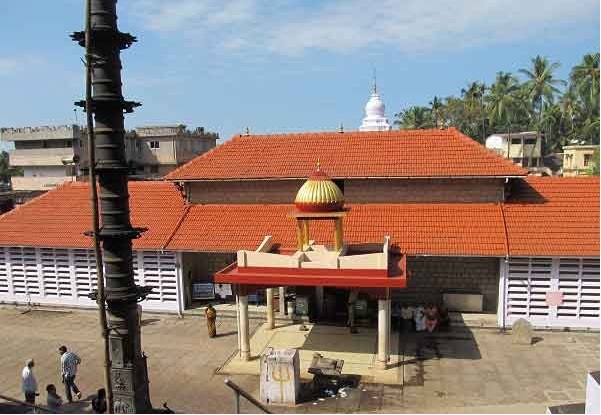 The Kudroli Gokarnanatha Temple is a Hindu temple at Kudroli and is located just 2 km from the Mangaluru city. The temple at Kudroli is dedicated to Lord Gokarnanatheshwara. Kudroli Sri Gokarnanatha Kshetra was started by his holiness Narayana Guru. The original temple structure was in Kerala style, which was replaced, by Chola style during recent renovation in 1991. Billawa Community manages this temple. The main deity of the temple is Lord Sri Gokarnanatha (another form of Lord Shiva). Navarathri Utsava (Dasara festival) is very famous and is one of the main tourist events in this temple. A grand procession of Goddess Durga takes place during this festival, which attracts many tourists and devotees from distance corners of the state and is very popular like Mysore Dasara. The dasara celebrations here are also called as Mangalore Dasara. Shri Sharavu Mahaganapathi temple is one among the ancient temples of Dakshina Kannada District. The story of its origin and importance of the temple is narrated in the Skanda Purana. This temple was built in the 12th century by Tuluva King Veerabahu. Sharabeshwara and Mahaganapathy are the principal deities in the temple. The Shrine of Lord Sharabeshwara is located on the western side of the temple and that of Mahaganapathy is on the south. Yakshagana Thalamaddale takes place every Sunday evening. 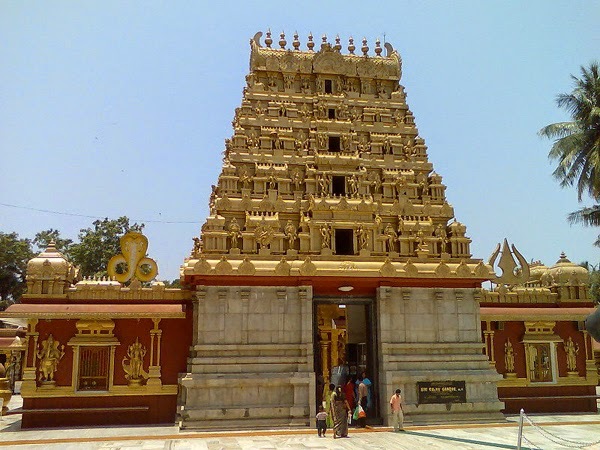 The temple is located in the heart of the Mangaluru city and easily accessible. It is an exceptional religious place having a great history of more than 800 years. It is situated in the heart of the city at Sharavu Temple lane in K.S.Rao Road. Large numbers of devotees throng to this temple during the special auspicious festival like Ganesh Chaturthi and Samakranthi. Sacred Darshana of the deity is a blessing for the visitors. Other famous attractions in the temple are Rathothsava and Deepothsava or ‘Festival of Lights’, celebrated with much enthusiasm and piety. There is a temple tank called ‘Sharatheertha’. Kateel or Kateelu is a temple town in the Dakshina Kannada district of Karnataka. It is about 29 kilometers away from Mangaluru city and is considered one of the holiest temple towns in Hinduism. 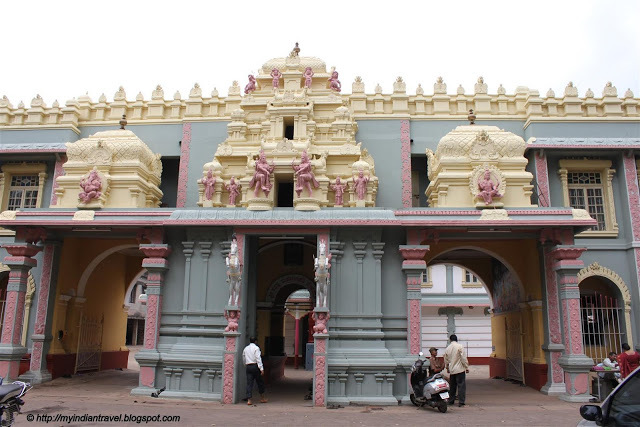 The main attraction of the town is the temple of Sri Durga Parameshwari. The holy temple is situated on an islet in the middle of the sacred river Nandini amidst panoramic scenes and greenery. Thousands of devotees visit Kateel every day to seek blessings from goddess Durga Parameshwari. The Kateel temple’s trust encourages several forms of arts. Notable among them is the Yakshagana, dashavathara mela which was started as an offering to the goddess. Currently Kateel has six Melas performing Yakshagana. During Dussera, Navaratri and other annual celebrations several sacred rituals like, Chandika havana, thula bhaara, veda parayana, hari kathas etc. are performed. This entry was posted in Mangalore. Bookmark the permalink.